Unjust and potentially unlawful prejudice is widespread in the lettings industry. One in three renters receiving housing benefit haven't been able to rent a home due to discriminatory practices. These range from advertising vast numbers of properties as 'no DSS', to total bans of people on housing benefit. Leading letting agents are excluding renters on housing benefit, even when they can afford the rent. It's completely indefensible and pushes people closer to homelessness. We'd like your help this Christmas. Please sign our petition and join us in calling on these agents to treat all renters fairly, by considering each individual on a case-by-case basis. 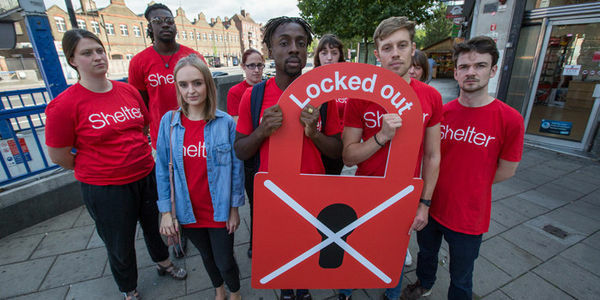 We're a powerful movement – thousands of our supporters spoke up about Ludlow Thompson's behaviour, forcing it to begin addressing housing benefit discrimination. Haart is also moving in the right direction. Sign our petition today: Bridgfords, Dexters, Fox & Sons, Haart, Hunters, Ludlow Thompson and Your Move – stop discriminating against renters on housing benefit.